Direct link for NATA application form 2019 will upload soon. Check the eligibility criteria to register for NATA 2019 exam. See simple procedure to fill NATA 2019 Application form. Get the National Aptitude Test in Architecture 2019 dates. Candidates can also refer the NATA application fee payment process. Also, view the complete information regarding the NATA 2019 registration form. Council of Architecture releases the NATA 2019 registration form in online mode. So, the candidates have to submit the filled NATA 2019 application form through online mode only. The authority CoA published the application form in the month of January. Hence, for the convenience of the candidates, in this article, our team has uploaded the direct link to fill NATA application form 2019. Therefore, candidates who wish to get the admission seat in the five years Bachelor of Architecture (B.Arch) programmes should write the entrance exam. So, first of all, candidates need to register and fill the NATA 2019 application form. NATA online application form filling process involves registration, filling personal, educational and contact details, uploading images and application fee payment. Applicants are required to make the NATA registration fee payment through Electronic Payment Gateway i.e., they can be paid by Debit Card/ Credit Card/ Internet Banking. Candidates first read all instructions carefully and then fill the form without mistakes. Therefore, follow the given simple stepwise process while filling NATA online application form 2019. Go through the below sections, to check the details on eligibility criteria, exam dates, registration process, fee payment methods, etc. Council of Architecture conducts the National Aptitude Test once in a year. The examination conducting authority will offer the admission into the 5-year B.Arch course in the private, aided, government and unaided colleges across India. CoA manages the entrance in the month of April 2019. Therefore, interested candidates should fill the application form before the last date. Applicants can check the NATA 2019 important dates on this page. Refer the complete details on NATA application form 2019. Candidates should have minimum 17 years old as on 1st July 2019. Students need to pass 10+2 or Intermediate/ Equivalent or 10+2 Diploma (in any stream) or International Baccalaureate Diploma after ten years Schooling education. Not possible the Lateral Entry Admission in the B.Arch courses admission. The aspirants should complete their qualifying examination with minimum 50% aggregate marks. Candidates belonging to General/ OBC categories have to pay the NATA application fee of Rs. 1800/-. SC/ ST category candidates need to make the payment of NATA application fee of Rs. 1500/-. Students should remit the requisite fee through Electronic Payment Gateway (EPG). Candidates who wish to make the NATA application Fee Payment through Online mode can pay either through Credit Card/ Debit Card or Net Banking. In this section, candidates can refer the complete procedure to fill NATA Application form 2019. We are providing the information regarding all steps which are included in the complete NATA apply online process. Candidates have to click on the below-attached link or visit the official site. They are required to enter the following details for NATA registration 2019. After entering the above details, the candidates have to log in to their account by using the NATA login id and password. Here, the applicants need to furnish the personal, educational and Address details in Application form of NATA 2019. Candidates have to upload the scanned image of signature, photograph and Community Certificate. The images or certificates must be in required size and format. Uploading images shall be in JPG/ JPEG format. In the below tabular form, the candidates can check the images size and dimensions. 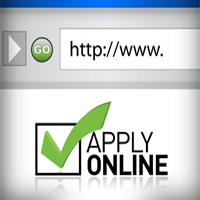 Candidates are required to make the application fee through the Electronic Payment gateway. Applicants have to use the Debit Card/ Credit Card/ Internet Banking for NATA registration fee payment. In the above section on this page, we have given the fee amount of NATA 2019 application according to the category of the candidate. Hence, read this article to check the complete details on NATA application form 2019 fee. Hence, Bookmark our entrance exams site www.entranceexams.io to check the latest updates on National Aptitude Test in Architecture.